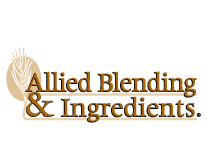 Allied Blending & Ingredients Inc. is a manufacturer of a wide range of value-added food blends and ingredients sold to food companies worldwide. Evogene is a leading company for the improvement of crop productivity and economics for the food, feed and biofuel industries. HighQuest Partners, a consulting services firm, works with leadership teams in the global food, agribusiness and renewable energy sectors. KWS is a leading plant breeding company that uses state-of-the-art technologies to continuously improve yields and resistances to diseases, pests and abiotic stress. St. Louis Community College distinguishes BRDG Park as one of the only research parks to have an on-site biotech workforce development and training program. SyMyco, based in New Delhi, India, produces a family of biological fertilizers to reduce the need for water and chemical fertilizers. Wexford Science & Technology, LLC, provides real estate strategies and solutions exclusively to universities, academic medical centers and research institutions.